Gone are the days of the basic white kitchens that have dominated design ideas for the past two decades. Instead, we’ve been introduced to new, quirky ways to enhance our kitchen design. One of the popular choices is the retro style of the 1950s and it’s no surprise why – they’re bright, nostalgic and theatrical and can transform your kitchen from drab to fab. Technically the term ‘retro’ means something that was fashionable in the past, however, these styles have become fashionable once again today. 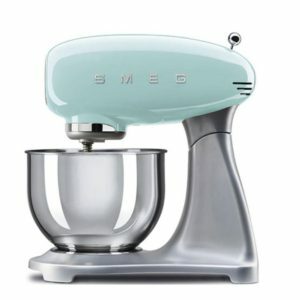 There are a few specific pieces and elements that will give it that 1950s look, so here are some top tips for creating your very own retro 1950s style kitchen. Choose kitchen cabinet doors and units with a brightly coloured worktop such as blue, red or even teal. You could even opt for rounded edges which will add to the 1950s feel. Simply choose your favourite colour and work with that. Hot Doors even have a colour matching service available for your cupboard doors and kitchen cabinet doors, so you can create that 1950s look with ease. If you’re updating your kitchen cabinets, why not change the kitchen door handles too? You simply can’t go wrong with metal bar handles or rounded knobs as they will beautifully compliment your 1950s kitchen design. 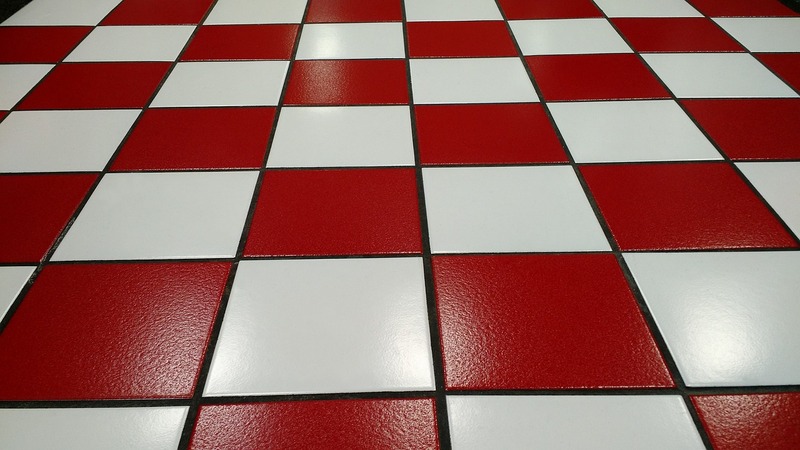 Tiling can be as extravagant as you wish it to be. 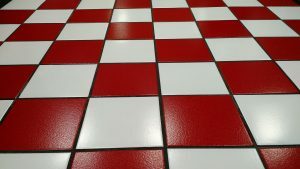 If you’re feeling adventurous, choose a classic checker board design in stone with alternative colour schemes or patterns. This will give your retro kitchen a quirky boost and tie in nicely with the rest of your retro kitchen design. Retro designs are all about colour clashes, so be as ambitious as you want with your colouring choices. To complete your look of a retro 1950s style kitchen design, you should incorporate retro style trends and themes into your appliances. 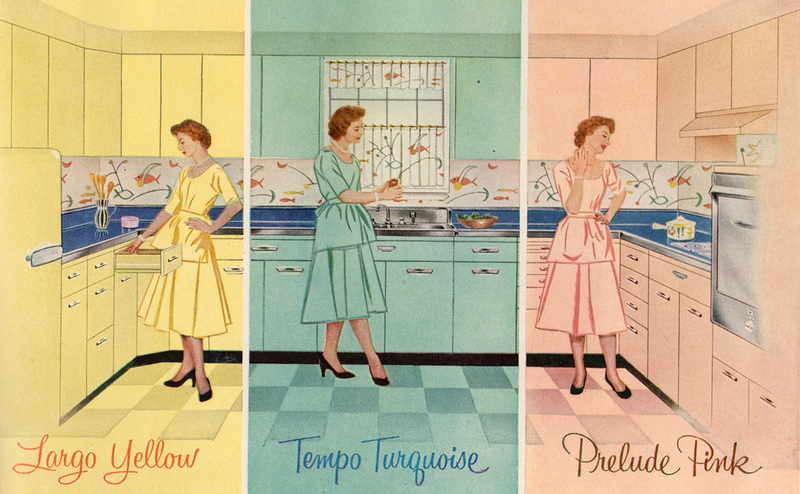 For more retro aesthetics, choose a colour and stick with it, from the fridge and cooker to the toaster. There are countless opportunities to add glimpses of authenticity to your retro kitchen design, for example, with the inclusion of vintage kitchen scales or retro style artwork. To view our range of kitchen doors and accessories, check out our website today. We have many styles to choose from and all of our doors are compatible with frames from other popular manufacturers, including Homebase, Wickes, B&Q, IKEA, Benchmarx amd Howdens.